I have two very important jobs: mom and teacher. In that order. 1. What do you do with your children in the summer to prevent the summer slide? 2. Does the summer slide really exist? 3. Shouldn't children enjoy their break away from school? They work hard enough during the school year! Yes, there is such a thing as a "summer slide." It's amazing how much students forget from one year to another. I have been teaching fifth grade for 12 years now. 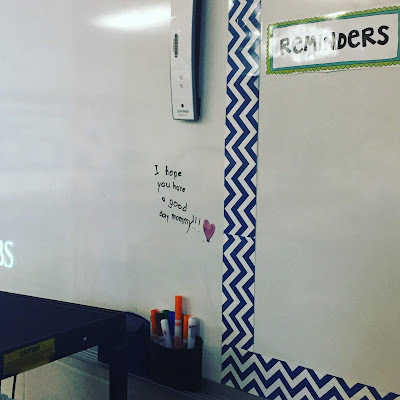 The first month of every school year is spent reviewing things like how to write complete sentences using correct capitalization and punctuation, and reviewing multiplication facts. I also believe in the need to let children enjoy their summer away from school. My daughters work very hard during the school year, and even I often dread having to do homework with my kids because I am exhausted from work at the end of the day. 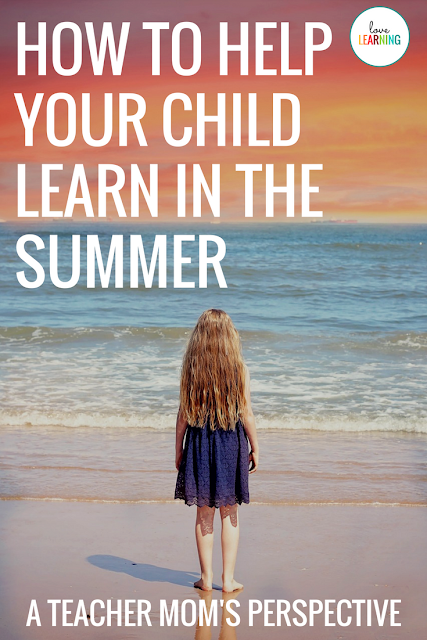 However, learning in the summer doesn't have to be a chore. Your children will L O V E spending one on one time with you and will actually work very hard to make you happy (for the most part). Like I said, my two daughters are 6 and 8. My 8 year old loves school and writes stories and creates math problems for herself because she thinks it's fun. My 6 year old, on the other hand, needs plenty of encouragement to work hard and needs a lot of reinforcement from me. "When are we going to do school, mommy?" "Can you sit right here next to me and watch me?" Let me tell you, this brings much joy to my teacher/mommy heart. There are three things that you can do to help your child for the next school year: focus on reading, writing, and math. You can look at their learning standards for the following school year and try to get ahead on their first unit. Most school districts post their standards on their school websites, or you can look at the Common Core Standards if your state uses them. Don't stress out about it too much though - their teacher will do a great a job of teaching these standards. You just need to focus on the basics. 0-120, but then I quickly realized that she was having trouble recognizing her teen numbers. 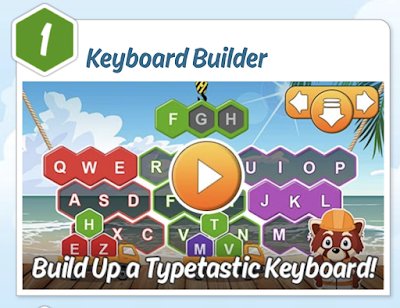 There are so many resources available on the internet to help with any skill that your child needs extra practice with! I ended up making some practice sheets for my daughter, and we are also playing "Teen Number Go Fish," which she loves. Learning should not be a chore. If you are aware of things that your child needs extra practice with, you can practice them in a variety of ways! If we are at a restaurant and we are waiting for our food, we practice writing teen numbers on the kids menu, or we look for teen numbers in the menu or around the restaurant. 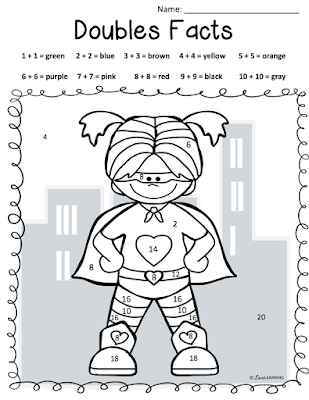 Here are some (free) strip puzzles that Kindergarten or 1st grade kids will love! See a trend with grades 3, 4, and 5? 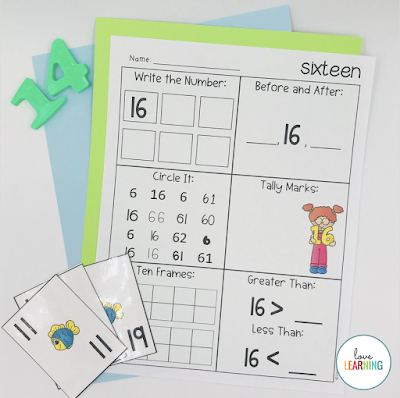 Your child needs to know their multiplication facts in the upper elementary grades. It is essential. My eight year old is entering third grade. She has learned that multiplication is repeated addition and can figure out the answer to a multiplication problem that way. I am not stressing out about teaching her all of her facts. We are simply starting with the "easy ones." I am teaching her to multiply by 0, 1, 2, 5, and 10. 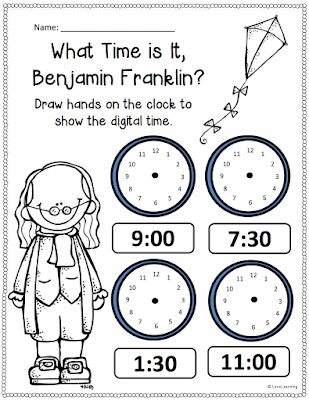 We have been practicing these for a few weeks now before I introduce multiplication by 3. If we get to the rest, great. If not, that's ok! She will still be ahead of the game with just the ones above. I'm sure you've heard your chid's teacher say this many times: make sure your child is reading at home. Let me sound like a broken record: your child needs to read at home! Your child will become a better reader and writer if they read. "My child just doesn't like to read." "My child can't find books that he/she likes." "I just can't get my child to read no matter what I do." Your child can read anything as long as they are reading! My daughters don't love to read independently unless I really force them to (which I don't like to do because I want them to love reading). BUT...they LOVE to read out loud to me! Every night while I cook dinner, they take turns reading to me. My eight year old reads a chapter from her book. When I make comments like, "Wow! I can't wait to find out what happens next!" her eyes light up and she responds with, "Me too! Can I read another chapter?!" My six year old is still learning how to read and she gets tired more quickly. She is also reading a "chapter" book (really, it's just a longer, low level book), but she reads a few pages out loud to me each day until we finish the book. Let me tell you, she was SO excited to finish her first "chapter" book because she wants to be like her older sister. When your child sees that you are interested in what they are reading and asking them questions about it, they will want to read more! If you don't have many books at home, go to your local library. They probably have a summer reading program with incentives that will encourage your child! When it comes to writing practice, you can keep it simple here as well. Remember, you don't want learning to be a chore. When my girls and I "learn" in the summer, I usually keep it to no more than half an hour of sitting before we take a break or do something completely different. I also put a smiley face on each page that they complete, and give them a sticker or a piece of candy when we are finished. They love it! Fifth Grade: Use Technology to Research and Create a Presentation using PowerPoint, Google Slides, or on online tool. I also write letters to my girls in the summer. I just purchased a simple journal, and we write back and forth to one another. I can't tell you how much your child will love doing this because they love YOU. There you have it! Enjoy this time learning and being engaged with your kids - it will build memories.